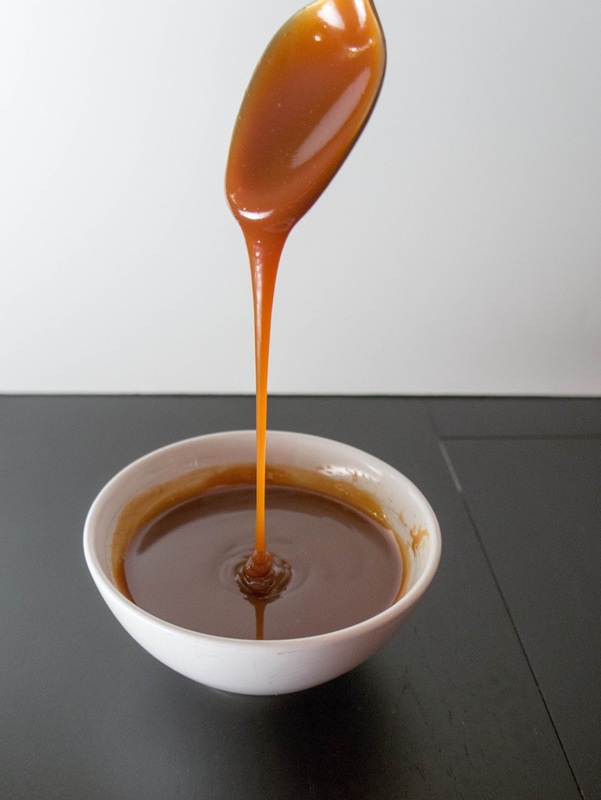 If you do nothing more, make this caramel. 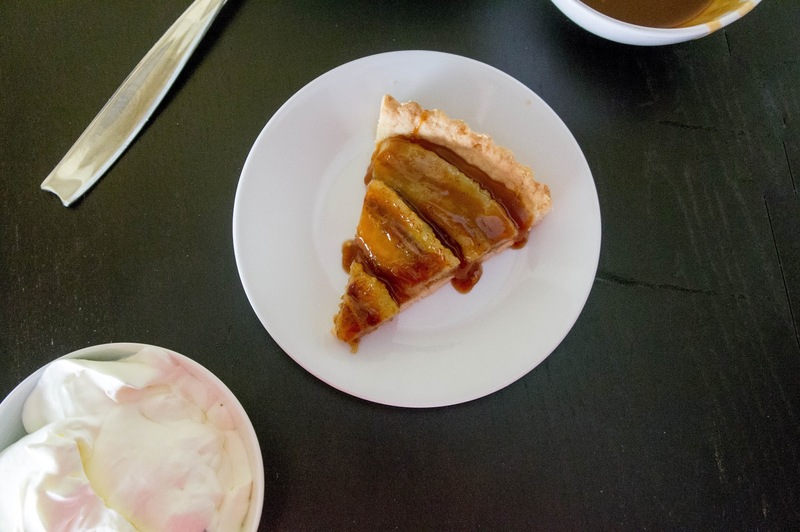 Put it on your ice cream, drizzle it on apple pie, spread it on toast. This is perfection. I chose bananas for the alliteration... also because there were some hanging out here threatening to go bad. I love when I manage to use something before it goes bad! Sometimes it feels like a game : how can we get rid of everything we have in the kitchen while still eating well? We’re winning with these bananas. 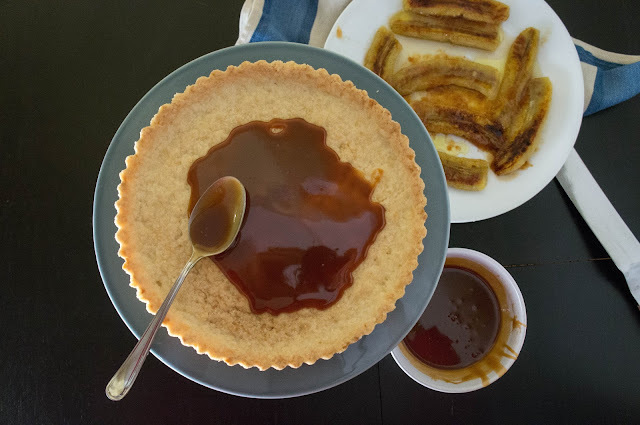 Bananas are caramelized to stick with the caramel theme and because it turns ordinary bananas into a golden, buttery, delicious thing. The tart base is a plain shortcrust pastry. Putting it all together is super simple: pastry, caramel, caramelized bananas. Top with whipped cream. 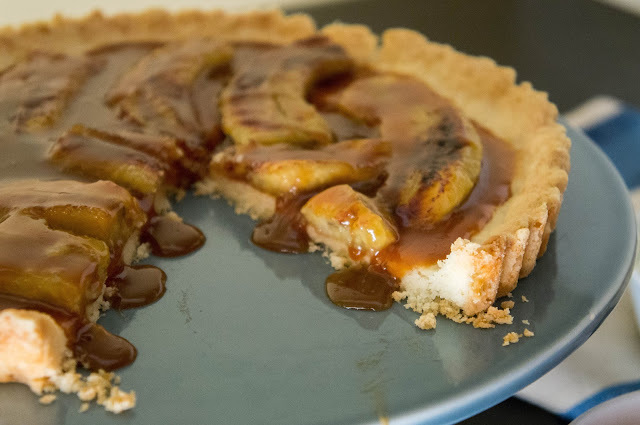 Bananas and bourbon are best friends and this tart was everything I dreamed it could be: rich, sweet, and creamy. Best served warm the day it is made though leftovers can be stored in the fridge for a couple of days. Make this, you will love it! Combine sugar, flour, and salt in a bowl. Cut in cold butter using your fingers or a pastry cutter to blend until the mixture resembles coarse crumbs. Make sure everything is cold enough that the butter does not melt. Add 1 tbsp milk and incorporate with your fingers or pastry cutter again until the mixture just comes together when pressed, but it should still look like crumbs! You do not want a dough to form. If it is still too crumbly to come together when pressed, add more milk 1 tsp at a time until it does. Pour crumbs into your tart pan and press with the back of a spoon or fingers until it evenly covers the bottom and sides of pan. Refrigerate for 30 minutes. Do not skip this step. This keeps the sides of the tart dough from melting back into the center upon baking. In the meantime, preheat the oven to 350F. After 30 minutes of being refrigerated, bake your tart crust for 25-30 minutes on the center rack or until it is a light golden brown all over. Cut bananas in half crosswise. Then cut each half lengthwise. If you prefer, cut bananas into 1/2 inch thick rounds. 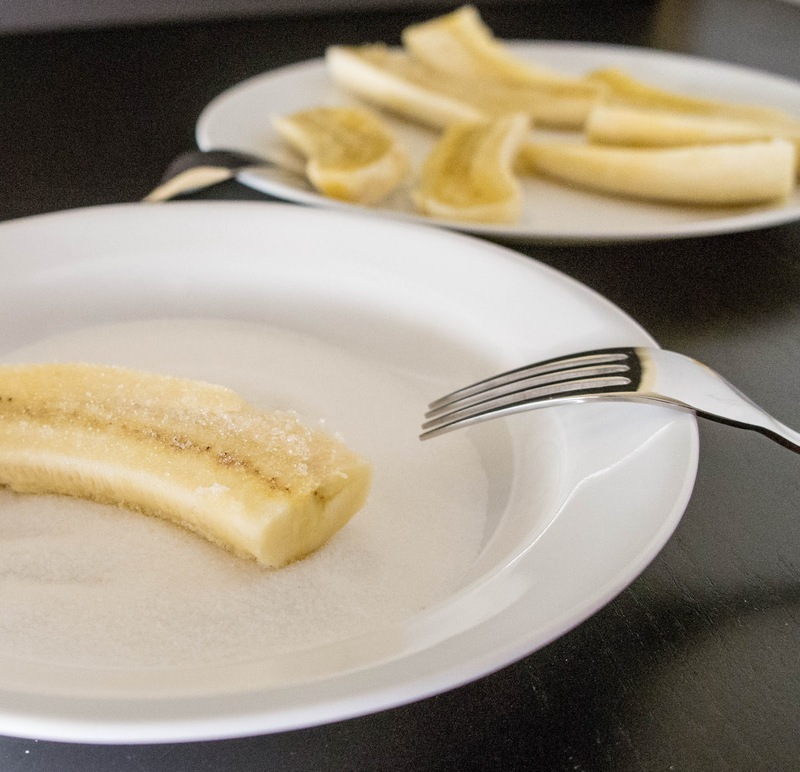 Roll each banana piece in sugar. Melt some butter in a frying pan over medium heat. Place banana pieces rolled in sugar into the frying pan, and fry until the bananas are golden brown. Flip and do the same for the other side. 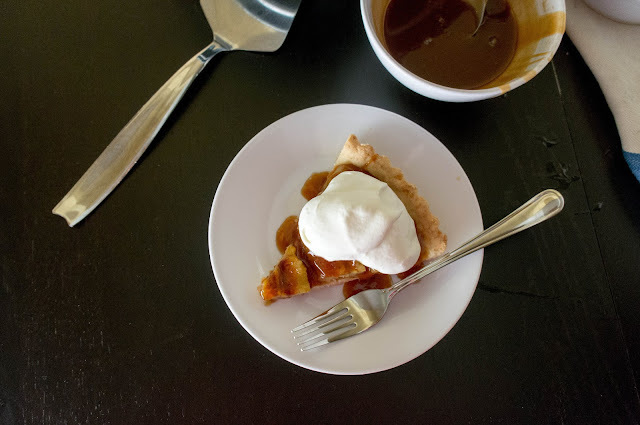 Pour a layer of caramel into pastry crust. 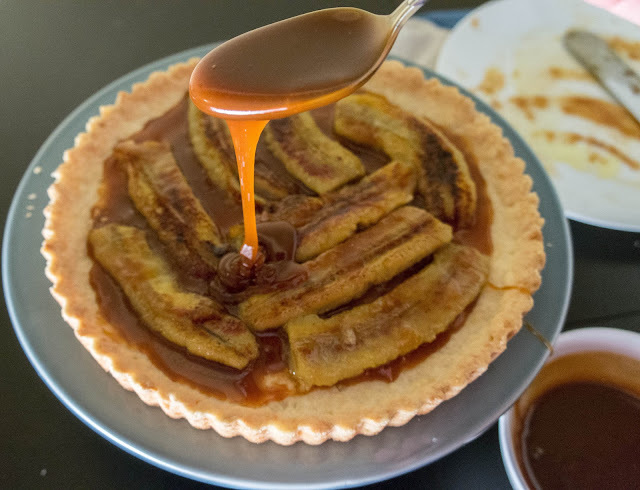 Arrange bananas on caramel. Drizzle with more caramel. 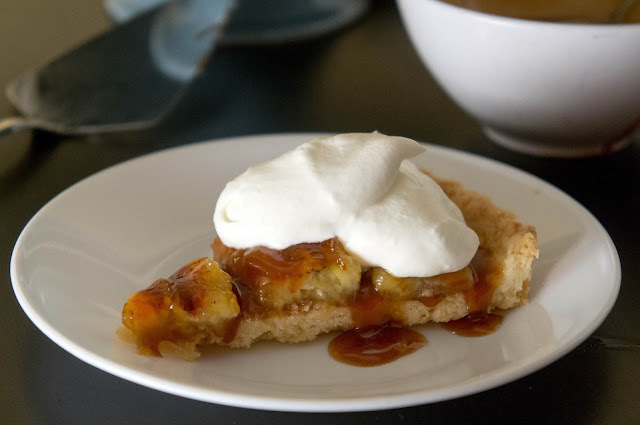 Serve with softly whipped, unsweetened cream (the tart is plenty sweet). Oh wow you tart looks and sounds amazing!